The first BSB working group webinar entitled “Start-up 101” took place on 28.11.2017. It was great success and 60 people joined the session. 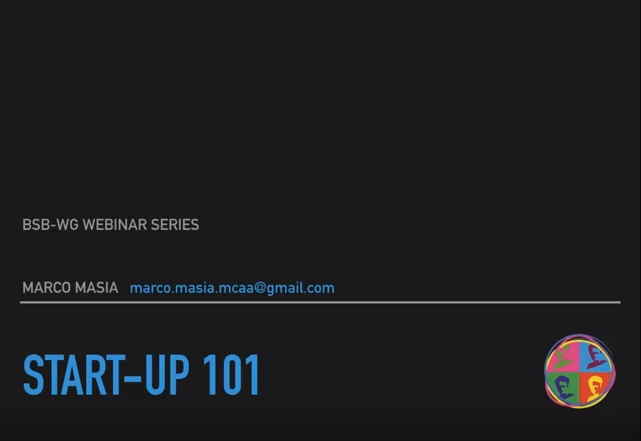 Marco Masia shared his expert opinion on what it takes to have a startup and gave a crash course on the ins and outs of running your own business. Please find the recording of the webinar at https://youtu.be/70cnOuJjHm8.